is a body of work using industrially manufactured replicas. In 1989, I began to collect small silverish objects which reflect subjects of the human soul: desires and concerns, substitutes for lost identities appearing in plastic and metal; a genre of visuals often characterized by the use of satire, but also of symbolic values in form of ex-votos). The object is read by the laser beam of the a digital thermal copier. 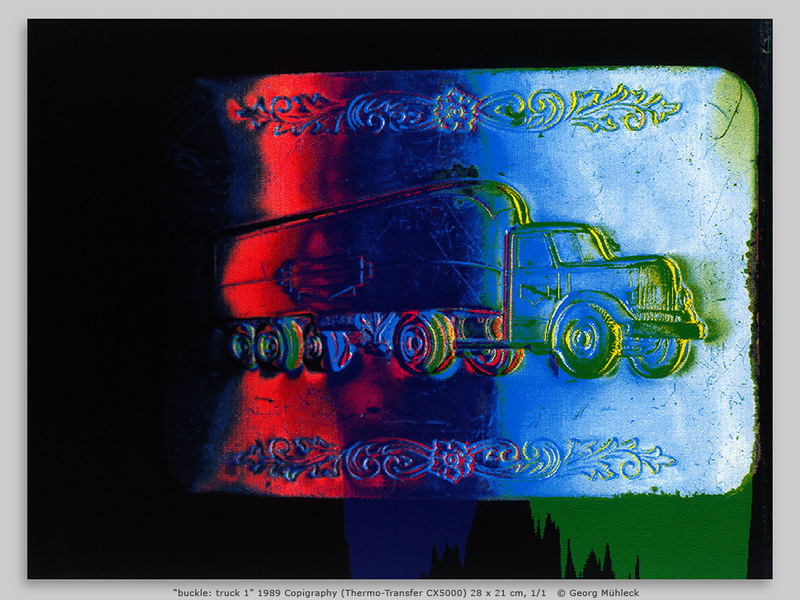 By varying the angle of the object to the laser, I could control its reflection and thus its colour, which is created entirely through the scanning process; the silverish material reflects the source of light of the copier like a mirror.